Chris Richardson peruses vintage country albums at the Arbutus Record And CD Show. 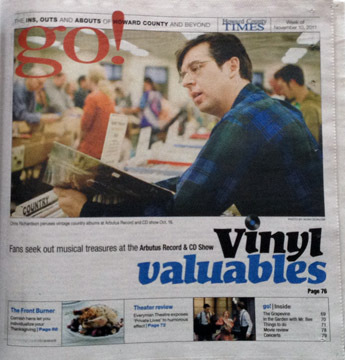 Each month, record collectors gather at the Arbutus Record and CD Show. Jim Kuppers, a vendor from Ashburn., Va., has been coming to the event for 15 years.